As most of you will know, I’m a sucker for a spa day. And when I do indulge in one, I tend to opt for facials whenever I can as my treatment of choice. Don’t get me wrong, I adore a good massage, but there’s something about investing in regular facials that I try and stick to as much as I can. 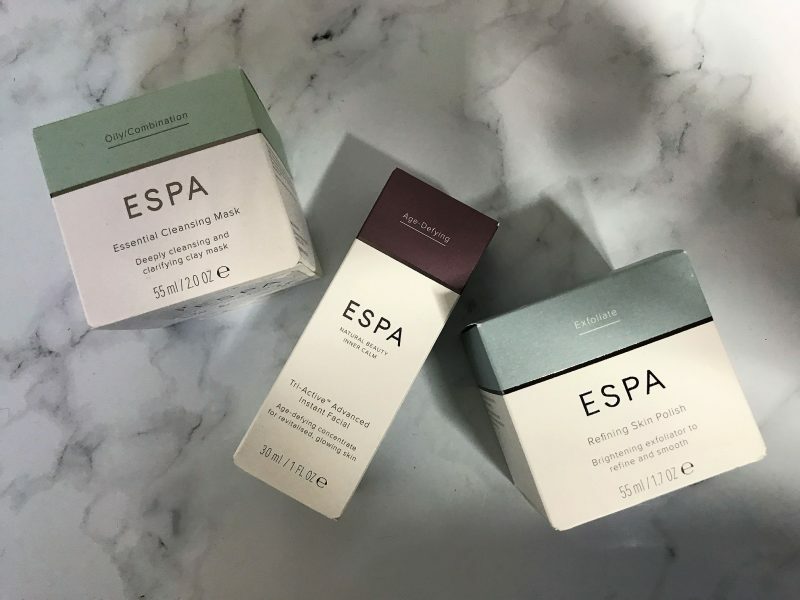 One brand in particular that stands out for me when I visit spas is ESPA – the crem de la crem of spa brands. 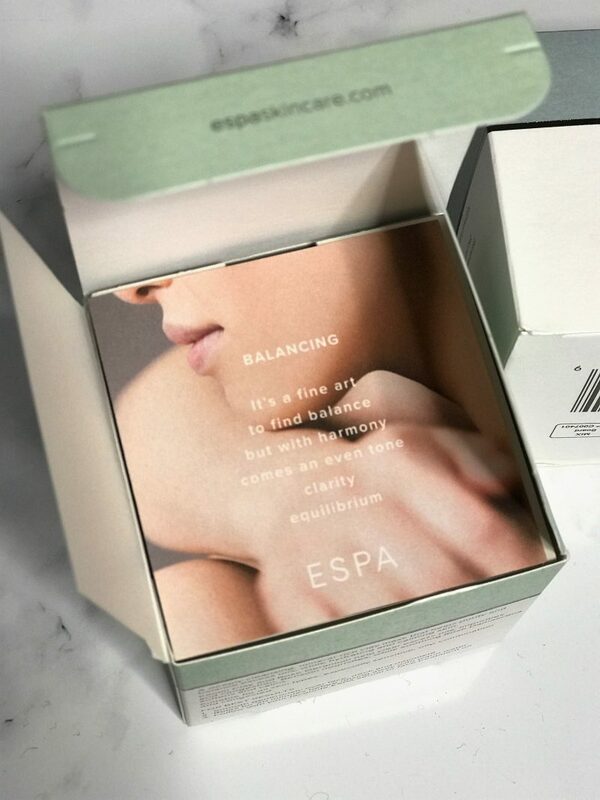 I don’t know if it was the uplifting aromas of the diffusers and candles that first got me (you’ll see these lined up at many spa reception areas) or whether it was just one hell of a fantastic facial I had, but I’ve been a fan of this brand for a long while. 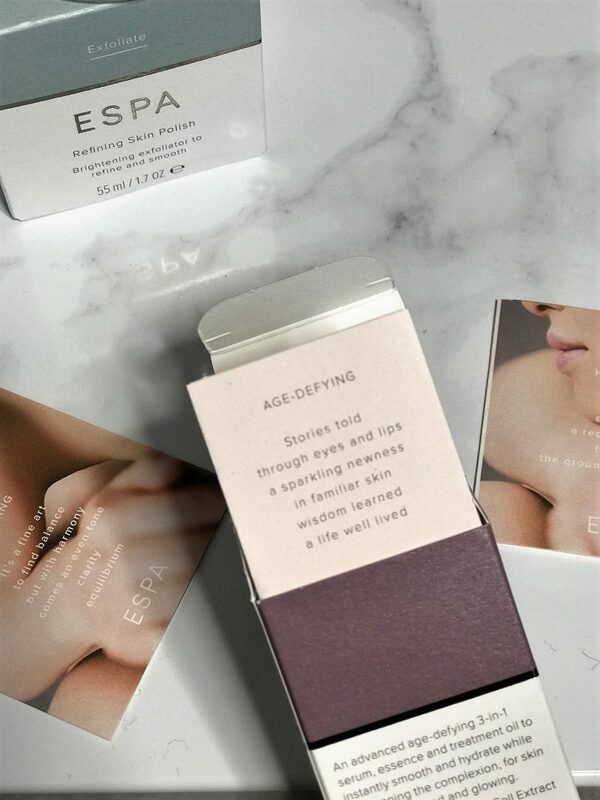 Luckily, the team at ESPA identified three key products I should give a try. 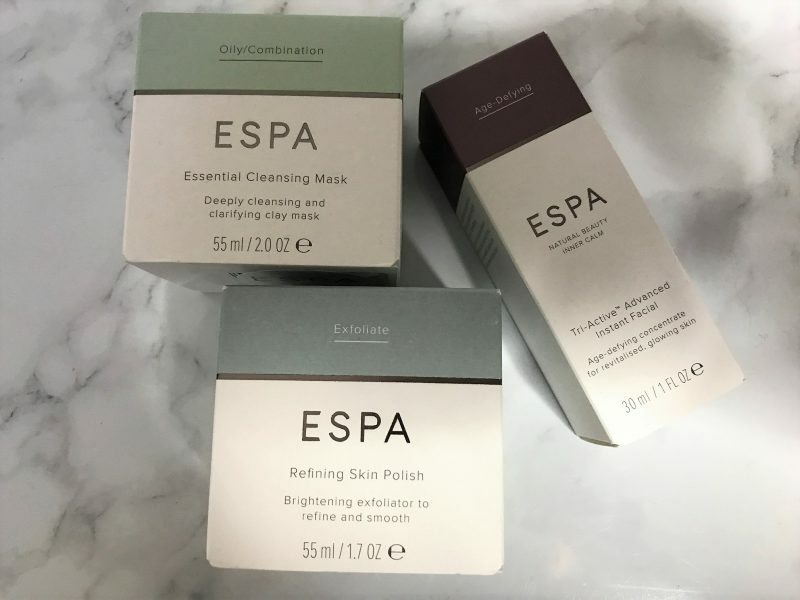 I explained my skin type and my concerns, and my general interest in wanting to try out the brand – especially to discover some best sellers. In a nutshell, I was told that this product basically acts as the brightening and refining exfoliator your skin needs for clarity and smoothness. So obviously, me with my dull skin and blemish marks, I was keen to try it. The first few times I used it, I loved how super fine the texture felt, with a slightly gritty texture, but without any ‘large bits’, if that makes sense. It’s packed with Spherical Diatomaceous Earth, which work to exfoliate to help clear pores, lift impurities and balance uneven tone. The fine texture means it doesn’t scratch the skin or caused redness, plus its loaded with nourishing Rose Damascena and Shea Butter to soften and calm the skin at the same time. I remove my make up first, and then apply this Refining Skin Polish, £30, to my damp face and massage gently. I massage it in for around 30 seconds before rinsing with warm water, and immediately the first thing I notice is how silky smooth my skin feels. The second thing I noticed – which didn’t happen straight after the first go, but more around the second or third – was the radiance that came with it. My skin looked clearer and brighter, like a dulling layer had been removed. Don’t get me wrong, it can’t magically fade all my pigmentation and sun damage. But the dull complexion and stubborn blemish marks were slightly more faded, almost as if they were blurred and buffed away slightly. I love a product that works as a multi-tasker! 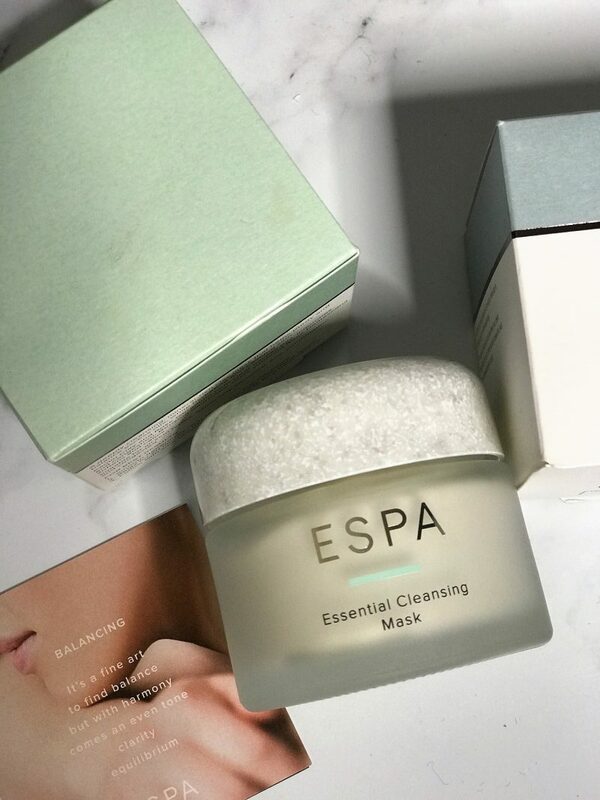 Although this Essential Cleansing Mask isn’t reeeeally a replacement product for my cleanser, the fact that is deep cleanses as it moisturises, purifies, calms and clears conjestion means I can relax that while treating my skin, I’m deep cleansing it too. So, how often should you use this product? Luckily, it doesn’t contain harsh ingredients, so you can use it a fair few times a week if you like. However, if you have normal/combination/oily skin which isn’t too problematic, I’d say twice a week is sufficient. I simply apply it to a cleansed face, let it sit for 20 minutes, then wash it away with warm water and sometimes a muslin cloth for those areas like the sides of my nose/ hairline. They say the aim of this mask is to provide a deeply cleansing, mineral-rich clay mask that helps purify and balance excess oils, while hydrating and calming. Loaded with Kaolin Clay and Rose Geranium which help to clear excess oils, impurities and congestion, it also works with Benzoin to nourish and soothe. 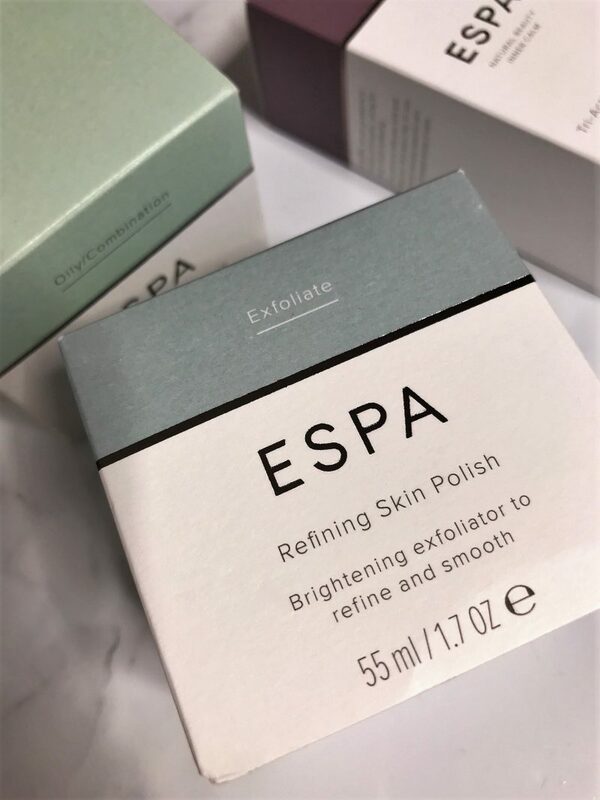 It’s actually a real treat to use, as I get no redness or tightness from this product, even when I accidentally leave it on for 30 mins instead of 20 (oops!). My skin feels super squeaky clean every single time, and I actually find it’s a miracle mask for closing those open pores and giving my skin that shine-free, matte finish look and feel. The mask costs £32 and can be checked out here. 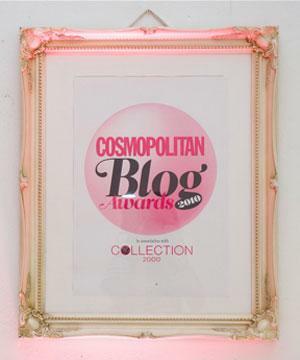 This was the product out of all three I was super excited to try, purely because it’s an award winning treatment oil, with some cracking reviews online! It features Antioxidant Macroalgae Cell Extract to help smooth the appearance of fine lines, White Truffle Extract to help boost elasticity, and Coconut, Jojoba and Avocado Oils to help nourish and strengthen skin’s moisture barrier. In a nutshell, it’s an advanced age-defying 3-in-1 serum, essence and treatment oil that acts as your serum step. You use it to instantly smooth and hydrate the skin, while at the same time brightening the complexion for a glowing finish. To apply, I just warm 1-2 pumps in the palm of my hands and kind of ‘dab’ it into my cheeks, forehead and chin, then lightly massage it in. 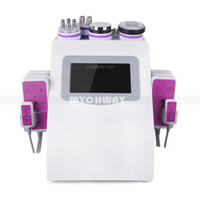 It has a refreshing, spa-like scent, and absorbs really quickly into the skin without any sticky textures. 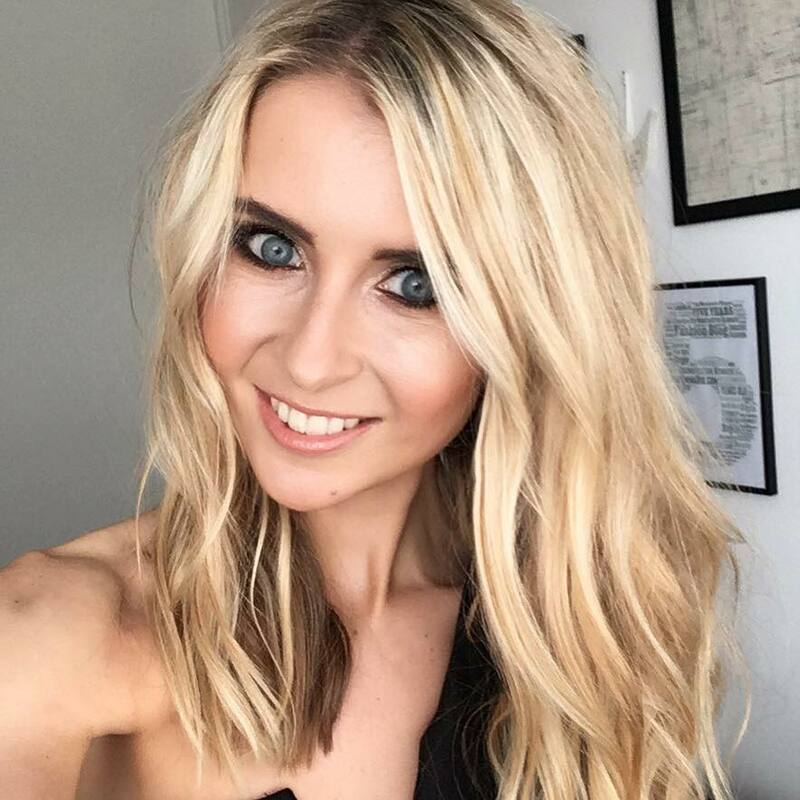 I could tell it’s a high quality, luxury formula product, as after a few days of using this morning and night, my skin had that healthy glow, looking more fresh and glowing, but with the silkiest, smoothest texture. 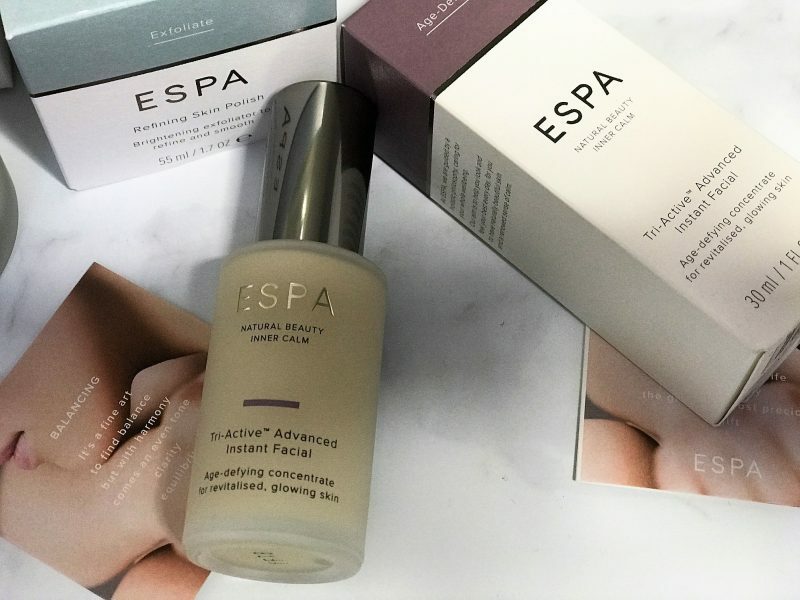 This Tri-Enzyme Advanced Instant Facial product is quite a pricier one, retailing at £60, but literally just 1-2 pumps is all you need, meaning it’s going to last one hell of a long time! I have to say I’m super happy with the results from using all three of these products combined, in a targeted regime. 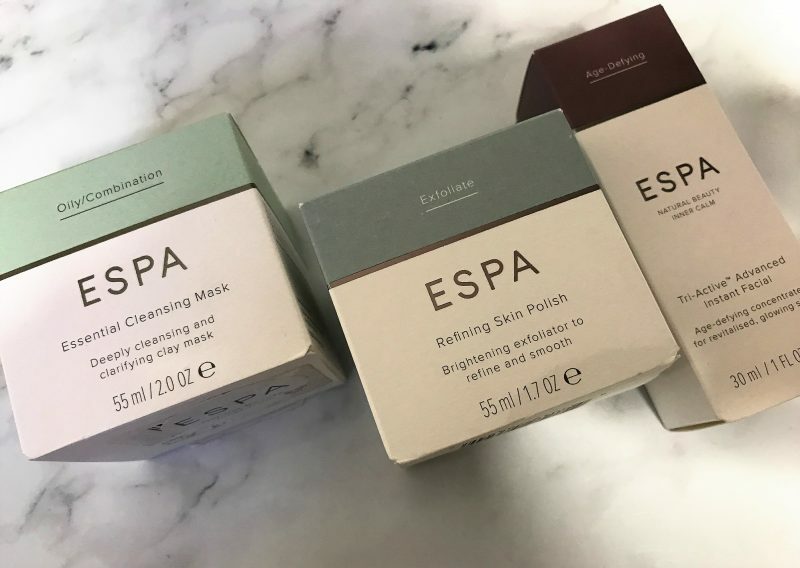 I knew I wanted to review these honestly for the blog, therefore I used all three for a period of two weeks without mixing in any other brands, so I could get a genuine feel of the effects. 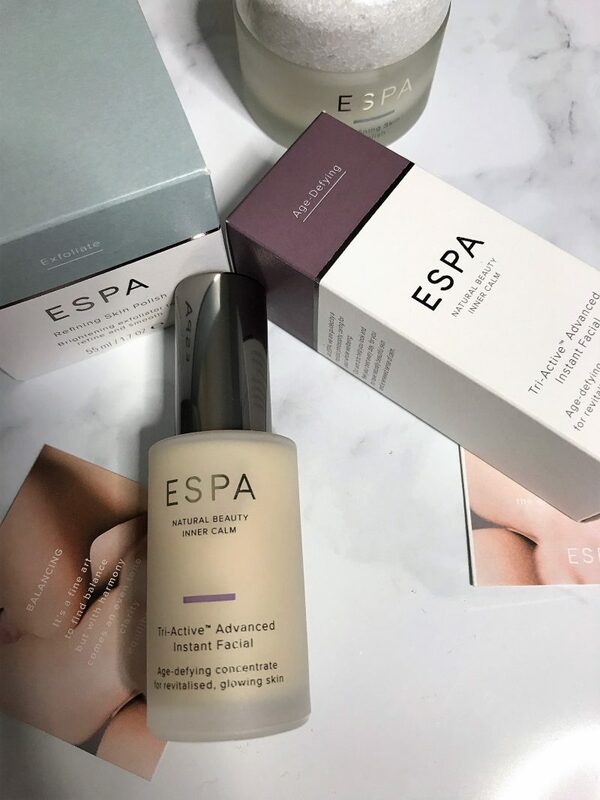 If I was to pick, my favourite has to be the Tri-Enzyme Advanced Instant Facial, purely because it just makes my skin feel so much more alive and wake on a daily basis. 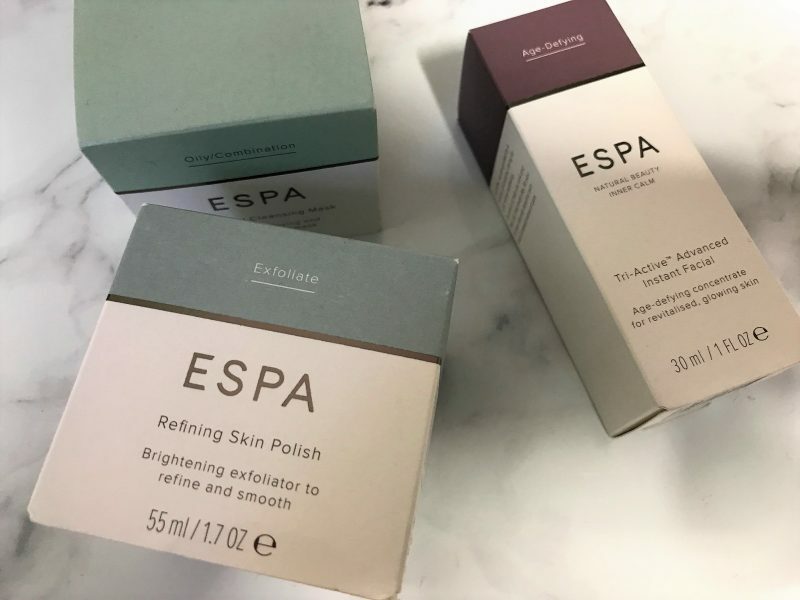 However, I do feel that all three of them – especially the exfoliator and the instant facial serum – work in harmony to slough away dead skin cells and reveal brighter skin. I can’t say how one would work on their own, as I thoroughly enjoyed using all three! 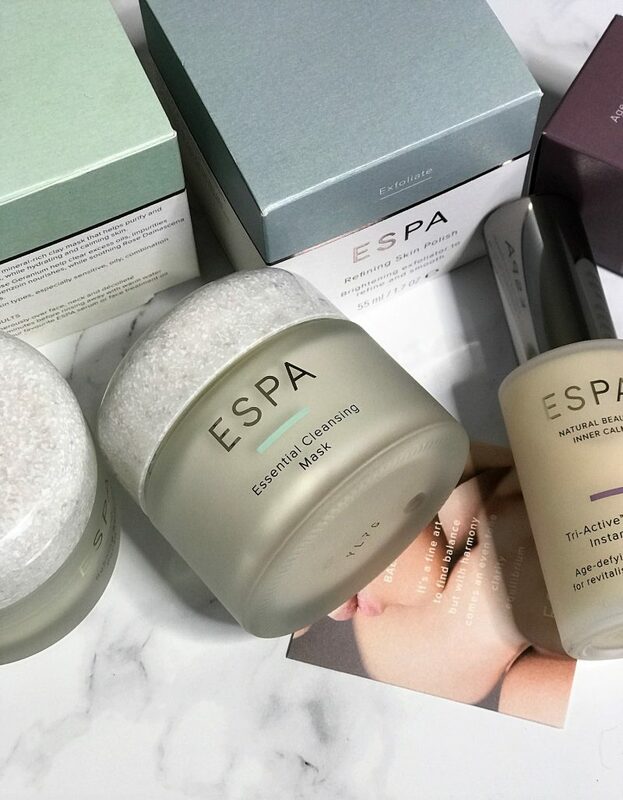 The range at ESPA doesn’t just cover luxury masks, exfoliators, cleansers and treatment oils. The range is getting more extensive, aiming to bring that quality spa experience to your home with no problem of recreating the results. You can shop body products, men’s skincare, and even candles and diffusers. 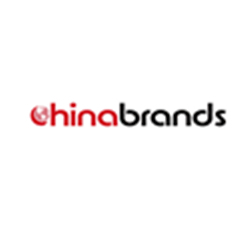 By far one of my favourite premium brands!